Tour de India news highlights ! Mark Cavendish has recovered from his illness and was scheduled to be at the start of the first stage of the Tour of Qatar on Sunday. 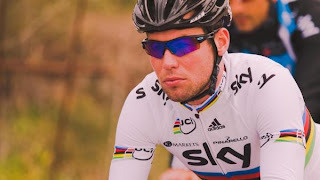 He is making his debut for Team Sky in the race.“We’re all delighted that Mark has been able to battle back from the bug he picked up coming out here and it will be a real boost to the rest of the guys to know that he’ll be starting today,” said sport directors Steven de Jongh.Our medical team have done a fantastic job in looking after him and Mark has followed their advice to the letter. Clearly, he’s not going to be at his best in the next few days but we’re hoping he’ll get stronger with every passing stage. Charteau to return to happy Langkawi hunting grounds. Anthony Charteau will return to the site of his first major stage race triumph, the Tour de Langkawi, when his Europcar team takes to the Malaysian roads later this February.Charteau claimed the victory back in 2007 courtesy of a sizeable time gap earned on the third stage to Cameron Highlands, before a gutsy fight to hold on against the pure climbers on Genting sealed the win. It was watershed moment for the Frenchman who went on to take out the King of the Mountains title in the 2010 Tour de France.Le Tour de Langkawi has always had a special place in my heart," said Charteau, who added that having missed the last few events due to other commitment overseas, he's happy to finally be returning to Malaysia for the 17th edition of the race. 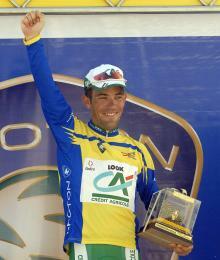 "I’ve always wanted to ride Le Tour de Langkawi again despite the long trip from France. Judith Arndt and Linda Villumsen will lead a formidable-looking GreenEdge-AIS team at the Women's Tour of New Zealand later this month. Arndt recently took top honours at the Ladies' Tour of Qatar, after a successful start to her season in Australia.Villumsen, a naturalised Kiwi will be able to count on home support as she takes on the five-day Tour. 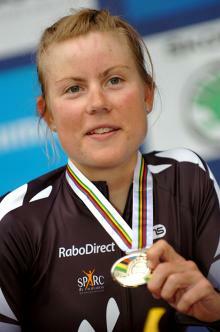 It will be Villumsen's first race with the new GreenEdge-AIS squad, having opted to stay and train in New Zealand longer to prepare for later season goals.The team will be looking to continue its undefeated streak which has extended from its first official race at the Jayco Bay Classic series in Geelong to now.